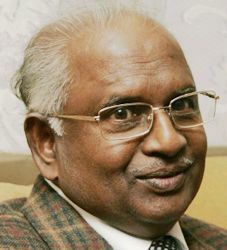 The Supreme Court today decided to examine the allegations of corruption against former Chief Justice K G Balakrishnan. A bench comprising Chief Justice S H Kapadia and Justices K S Radhakrishnan and Swatanter Kumar directed Attorney General G E Vahanvati to inform the Court within two weeks about the status of complaint pending with the Union Home Ministry. A complaint was filed in May, 2010 to Vice-President Mohammad Hamid Ansari against Justice Balakrishnan, who is presently National Human Rights Commission (NHRC) Chairman. Dr Ansari referred the complaint to the Home Ministry for verification and investigation into the allegations. The apex court issued the directions on a petition filed by Manohar Lal Sharma, an advocate, seeking a probe into the allegations of corruption. Justice Balakrishnan has been in the dock following the allegations of acquisition of huge assets by his close relatives including his son-in-law PV Sreenijan and brother K G Bhaskaran. Recently, a Supreme Court clerk who was in the staff of Justice Balakrishnan was also came under the scanner for purchasing a property worth Rs 50 lakh when he was getting a salary of Rs 10,000 to 15,000 per month. Is there any progressive development?